Who doesn’t remember learning about Helen Keller in grade school, and the incredible transformation her teacher Anne Sullivan was able to make in her by giving her the gift of communication through sign language? Helen, who had previously been thought incapable of communication and good behavior was often left to her own devices and was pitied. 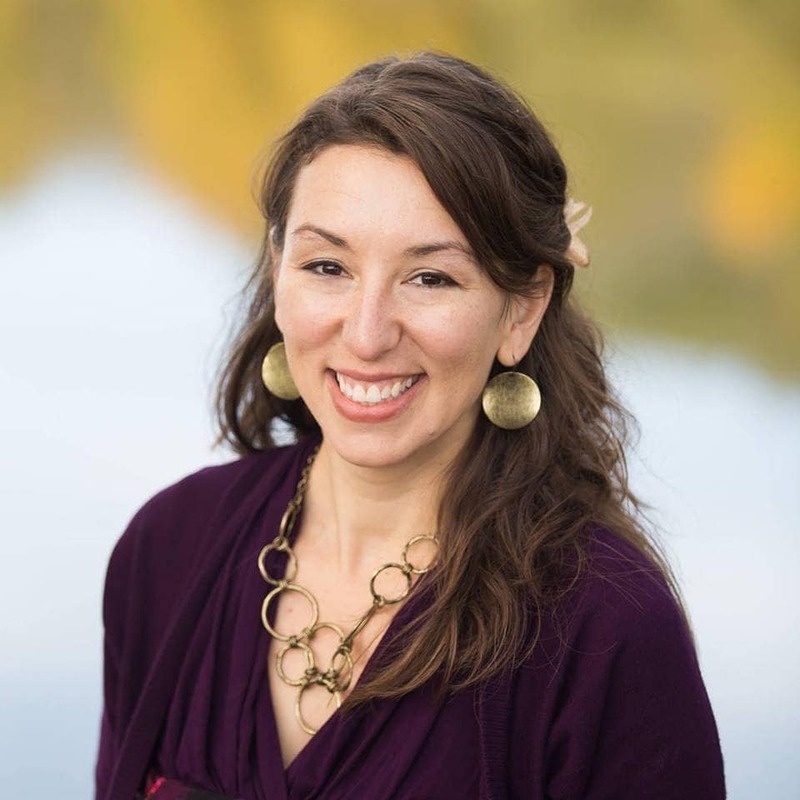 Modern-day Anne Sullivan, Rannah Evetts joins me on this episode of The Dignity of Women to share how she got on a plane to Uganda shortly after graduating High School to teach sign language to children who were largely neglected and abused for their hearing impairment. A young freckled faced white girl with red hair and a High School education from Texas seemed the most unlikely person for God to call to this potentially dangerous work in a remote village in Africa. But after being baptized into the Catholic faith her senior year of High School, and finding total peace in surrendering all to God, Rannah was sure that the love she had mysteriously always had in her heart for Africa was being stirred. Taking sign language classes to fulfill a language requirement, Rannah figured she would most likely never use the skill again. Yet her future use of the language oceans away was sparked by a project she did on deafness in Uganda, and the isolation and deplorable treatment of deaf children there. 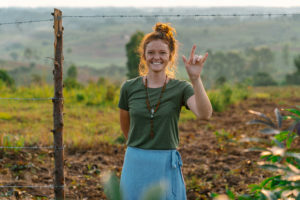 Carrying her own crosses of isolation due to suffering sexual abuse at an early age and countless years of depression, self-loathing, and suicidal thoughts, Rannah saw clearly her purpose and answered the call of deep longing in her heart to serve the deaf children God would place before her in Uganda. Shortly after graduation she was on a plane to Uganda, where she worked for the next 7 months at an established deaf school in Uganda’s capital city of Kampala. Rannah was horrified to learn first-hand of the treatment of the deaf children there, which she had soberly reported on her school project in Texas. One little boy in particular was kept tied to a tree like a family pet, and made to eat scraps of food, insects, and even his own feces. Most Americans are aware that deafness must come with some level of isolation from the rest of society. Thankfully though, for most American deaf children there are options for education in sign language and the majority of Americans understand deafness as a medical condition which impairs hearing. This impairment in no way reduces the dignity or value of the deaf child as a human person. In Uganda however, because of the lack of medical knowledge and the deep-seeded pagan, tribal, and superstitious influences, deaf children are understood to be a curse and shame upon the family. They are referred to as “things” and they are often treated as such. Options for education for deaf children in Uganda are slim to none, and many families believe their deaf children incapable of learning even if it were to be offered. Due to the severe poverty of many of the villages where Rannah’s school resides in Uganda, deaf children are more prone to violence, sexual abuse, and prostitution. But Rannah was most moved by the witness of the unfathomable transformation of these deaf children, once taken in by the boarding schools and given language and an education. They were not only seen as human beings and treated with dignity, but they were set free from their darkness – a darkness that she herself had also known. 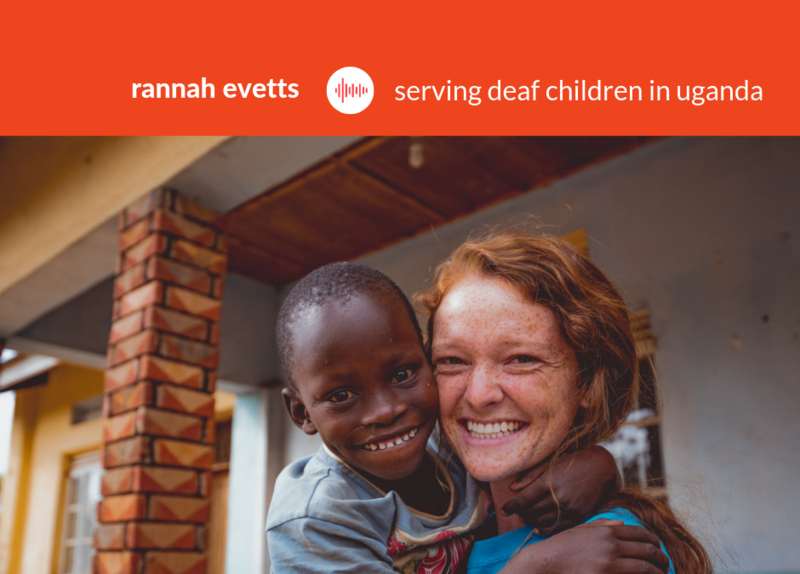 At the age of 21, Rannah Evetts could never have imagined that she would be granted a building in Uganda by Bishop Wanok to convert into her own boarding school for deaf children from the local villages. With the help of donors at her home parish in TX, Rannah was able to not only welcome almost 50 students, but as well has been able to offer catechesis and sacramental preparation to those children. One of the priests is even being taught sign language to open the sacrament of confession to deaf children there. It just took a simple “yes” to God says Rannah, who has no college education or years working in the field. She just answered the call and got on the plane, the rest was grace upon grace! St. Francis de Sales School for the Deaf is in its 3rd year of a 5 year grant, and with 47 primary students, 4 secondary students, and 6 adults in the vocational/young adult program, they are at maximum capacity. In fact, Rannah was in tears as she told me how many students they simply had to turn away for lack of the means to serve them. The school has been recently given 23 acres by the Bishop, who has seen its great fruits in the community. Rannah has already begun taking steps to build a boarding school for 300 kids on the property, including facilities such as a church, staff house, and farming/gardening area. St Francis ran last year on the shockingly low budget of $3600/month, which was the minimum they could run on with provisions for students, payment of staff ($51/month), and necessary security. Yet, sanitation is poor and many students still suffer illness due to the lacking sanitation, water problems, and poor diet. Rannah’s priorities are increasing sanitation measures, as well as providing clean water and better food for her students.